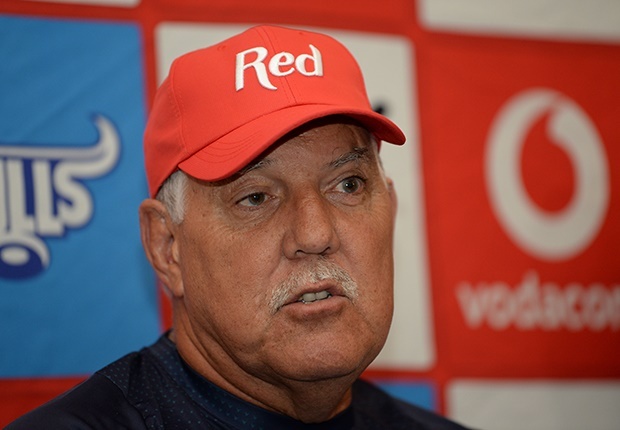 Cape Town - Bulls coach Pote Human has slammed his side's "stupidity" following Saturday's heartbreaking 22-20 loss to the Jaguares at Loftus Versfeld. Leading 20-10 going into the final 10 minutes of the contest, the Bulls capitulated by having two players - Tim Agaba and Conraad van Vuuren - yellow-carded. It meant that the hosts finished the match with 13 men, and the Jaguares were able to capitalise on their numerical advantage to score two late tries through replacement Domingo Miotti to secure a stunning victory. It was a thumping blow to the Bulls, who have been impressive for large parts of the 2019 Super Rugby season so far. "It's very disappointing," Human said after the match. "I thought we had them in this one ... we had so many opportunities that we didn't finish. "The discipline at the end cost us. You can't play against a team like this with 14 men and then 13 at the end. "It was ridiculous; the stupidity of the players. We have to rectify that and come back harder. It is a huge setback for us." The Bulls must now turn their attention to the Reds, who they host at Loftus on Saturday.